For us B2B marketers, LinkedIn is often perceived as the holy grail of social media marketing. But like all marketing channels, LinkedIn still has its challenges. Just like with any social media platform, no one wants to be sold to. How many messages have you received from people asking you to take some form of action, whether it be to join a group, take a survey or literally buy something? In other words, before you send that message, ask yourself if they’re really going to want it. In this article I share 7 techniques that will help you to quickly generate better results from your LinkedIn marketing efforts. Whether your goal is to generate traffic, distribute content or connect with potential partners or prospects then these 7 tips will help. There’s a group for almost any industry, profession and market on LinkedIn. You’re likely already a member of several, but how well are you using them? The former category of groups can be an incredible resource for keeping on top of things related to your work, but they’re not often great for promoting your message. That’s where the latter category comes in. There are a couple of results from the list above that could be of interest, depending on who your buyer personas are. If you’re providing a product or service to marketers in the eCommerce space then “Ecommerce and Online Marketing Experts” is a good bet. Building influence can take a little time, but it’s well worth doing if you want your message to get noticed. It means positioning yourself to the members, but also to the group owners that you’re not just there to spam the group up with self-promotion. If you just join their group and start posting links to your content without contributing first then they’re unlikely to approve your post. Gaining influence is easy, just help people with their questions and provide your insight within discussions that have already been created. Do this a few times a day to get started. The aim here to become listed on the group as a “top contributor”. It can take some time, but in my experience 5 to 7 working days will be enough. Once this has been done, it’s time to distribute. There are two ways you can share your content with the group. You can either share it directly, but in some groups that holds the risk of it being thrown in the “promotions” section, which is less than ideal. Instead, you need to work with the nature of groups. This is very important, and not many people realise this. Therefore my preferred method is to begin a discussion around the topic your content covers first. Then, once the conversation has begun, share a link in a follow up comment. 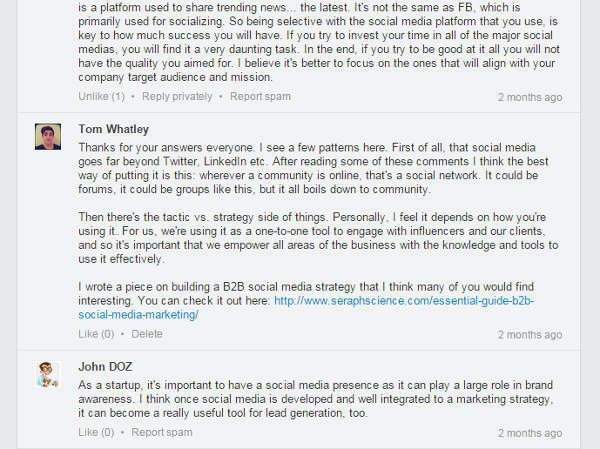 This method gets people engaged in conversation, allowing you to gather an audience around the topic of your content. 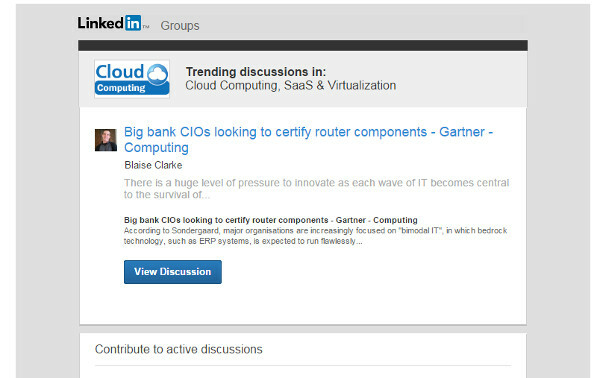 When you post a comment with the link to your content everyone involved in the conversation will be notified. Sometimes you can start a comment and include a link at the end of the initial post, but this too can risk it getting put into the promotions pile. Test different approaches and see what works, but due to the engagement factor I find starting the discussion first and sharing the content later works best. Optimising your profile is a great way of getting discovered by people looking for your products or services. 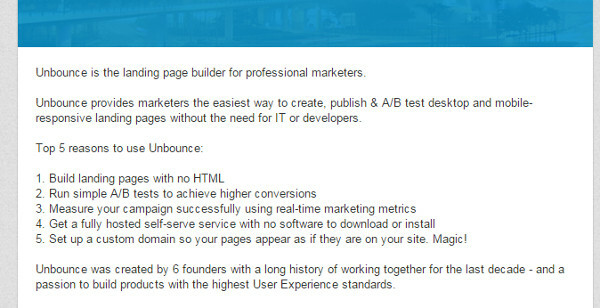 It turns your profile into an inbound asset that you can use to drive traffic to other sources. I’m a big fan of the 80/20 rule. The following optimisation tips take no longer than 1 to 3 minutes each to implement and can dramatically improve your discoverability through LinkedIn’s search and “people similar to” section. A lot of people put their current role within their headline, for example “Marketing Director, Eloqua”. This shows people what you do within a certain organisation but does nothing for your discoverability. Instead, see if you can optimise for keywords related to your expertise. For example “Digital Marketer, B2B Blogger & Content Marketing Author” would quickly build upon your discoverability for those keywords. As professionals advance in their career, many fail to update the skills section of their profile with the expertise they’ve acquired. Updating this can help you to appear in search for related keywords. There’s also a credibility factor that happens when people to endorse you for those skills. People will start to pay attention figure out where you fit with their own objectives. When they see that 10 or so people have endorsed you for a relevant skill can be very encouraging. There’s a section on everyone’s profile called “People similar to”. It shows people that share something in common with the person you’re currently viewing. Having an unconventional title might mean not appearing within this section. For instance, “Head of Content” isn’t something that many people search for or share. If this is the case for your own profile then it might be more beneficial to use something more conventional for the sake of discoverability. Taking the example above, “Head of Marketing (Content)” will mean optimising for a keyword that people (as well as LinkedIn’s search algorithm) can recognise. When writing your summary, think like an SEO. It’s all about putting in the relevant keywords that people are actually searching for. If you’ve got a shallow summary that just lists past experiences or awards then you might be missing a trick. Instead, write three paragraphs that clearly explains what you’re all about and make sure to use keywords related to your industry and profession. This is the quickest tip to implement. Sometimes professionals want to keep their profile viewing setting to “private”, which is usually because they want to protect themselves from recruiters or spam. Doing this, however, will severely limit your discoverability within LinkedIn – to the point where no one else can find you! Switch your profile to public and see what happens. These are 5 of the simplest quick-wins that I know. Try making a few of these tweaks and measure your page views over the course of a few weeks. There’s always room for improvement, but these tips will help move the needle quickly. If you spend time in the LinkedIn feed then you have probably already seen these. 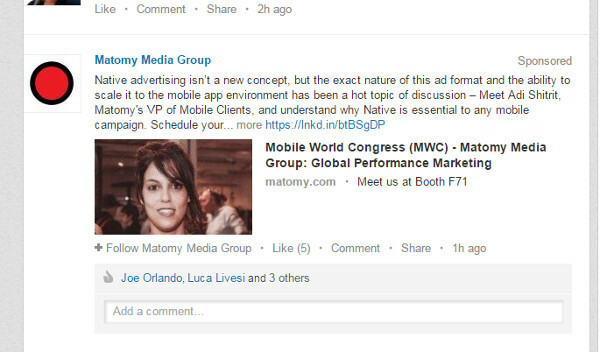 Sponsored updates are posts you can promote on a cost-per-click (CPC) or cost-per-impression (CPM) basis. You can use sponsored updates as a platform for content distribution as they’re incredibly native and, with the right targeting, can bring an impressive ROI. It’s a great way to get your content in front of influencers and decision makers that you’re trying to build awareness with. It will help grow your credibility and exposure with people not in your immediate network. 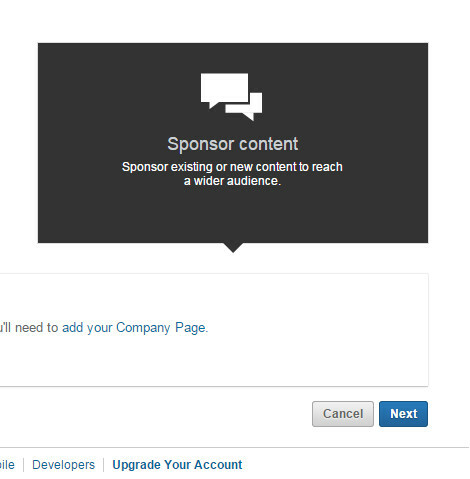 To get started, head over to LinkedIn’s native advertising section and click “Sponsor an Update”. This will take you to their setup wizard. Follow the process all the way through, beginning with country and monthly budget (there are only two options for the latter, making it a nice easy choice). Continue through the wizard, beginning with “Sponsor Content”. 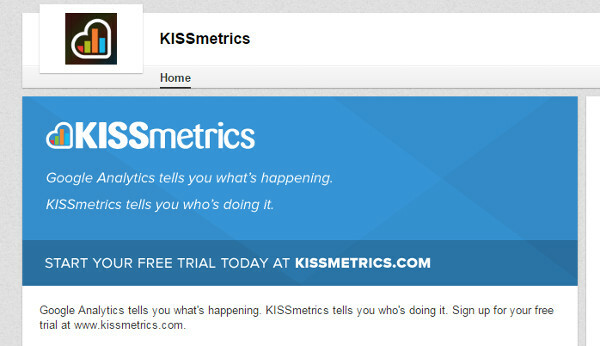 For the sake of this guide we’ll only cover sponsored updates, but KISSmetrics has a great guide on LinkedIn Advertising you can check out. Once you’re done, your updates will be appearing in your target audience’s news feeds. By tracking metrics such as impressions, clicks, CTR and audience demographics you can better steer your efforts through this feedback. 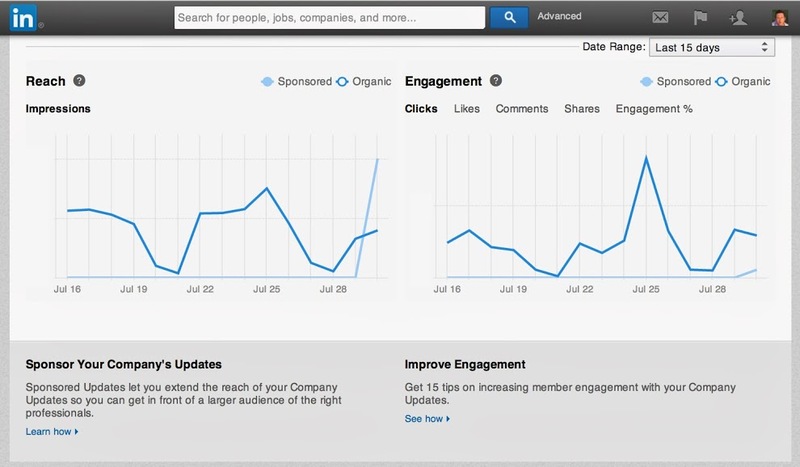 LinkedIn’s platform comes with powerful analytical tools right out of the box. You have the ability to compare the performance of sponsored vs. non-sponsored updates, meaning you can measure if it’s worth continuing after testing for a certain time frame. First things first, always make sure you’re promoting updates that has a large amount of perceived value to your audience. In other words, content that will be inherently useful. Basic social media practices hold true here. No one wants to be sold to, so make sure your message to market match is solid. Promote content to the people that will find it most beneficial so you get the best results. Split test different pieces of content with each new audience you target. You can also try testing different headlines and update copy on a small scale to boost performance and roll out the best performing update to a larger audience. We’ve talked about using other LinkedIn groups to distribute your content, but what about creating your own? 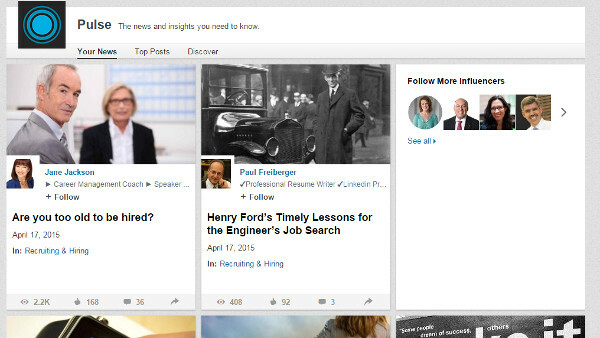 Utilizing LinkedIn to build and foster your own audience has several benefits. First of all, you control the content and discussion. If you want to drive more traffic to a particular piece of content then you can do so by featuring it at the top of the group. Second of all, you position yourself as an authority within a certain market, field or around a topic. If you sold to eCommerce marketers, for example, then creating an eCommerce Marketing group would attract the right type of people for you to get your message out to. Finally, and this is possibly the juiciest of the three, is that you have direct access to your audience’s email inbox. When someone joins your group, by default they opt in to receive any updates you put out by email. This means you get access to their email inboxes without having to persuade them to in exchange for email addresses and the like. If you’re a member of a LinkedIn group then you likely see weekly or daily digests from those groups. All you did was click on “join group” and you were instantly subscribed to receive these emails. It’s a clever way to create a highly targeted email list in plain sight. Building your own group, or even taking over an already existing one, can be an effective way to create a new distribution channel. You control the content that gets shared and emailed out to the members. 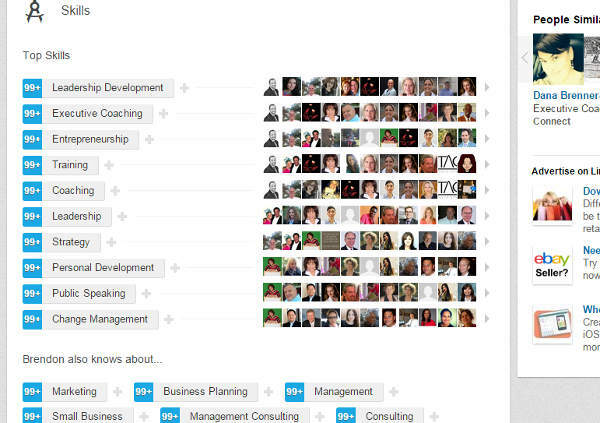 Head over to LinkedIn’s group section and click “Create a group” on the right hand side to get started. If you don’t have one, then you’re missing out on the opportunity on generating leads. Putting an image of your office, logo or a group photo of your team isn’t good enough though. Instead of using a generic image like those described above, turn it into a call-to-action. It’s simple, but the call-to-action really pops with some help from the design. They outline their value proposition and make the offer incredibly clear. You can test a bottom-of-funnel (BOFU) offer like they have, or try something more top-of-funnel (TOFU) by offering an eBook or other valuable piece of content. Most companies use their company description as an excuse to talk about their humble beginnings, the story of their growth and how many locations they have. This is great for the ego, but it won’t necessarily generate leads! As you can see, they clearly state what they do, who they’re for and some quick benefits of their platform. They even list out 5 reasons to use them. This is something very few companies do with their LinkedIn pages. It even has a call-to-action right at the end, asking the reader to “follow” the company page as well as the benefits of doing so. This is a good move because there’s very little friction and doesn’t require the visitor to navigate to another web page. This step takes the principles of the previous. You need to focus on providing value rather than talking solely about your own company. Those who are interested in your company will likely look at what you have to say, and what message you’re putting out to the world. If you’re only talking about new hires, clients you’ve signed on and other “me-focused” content then it’s likely you’ll bore your visitor into moving on. As you can see, there’s no talk of recent accomplishments or company announcements. All they share is value-driven content that drives their followers and new visitors to their content. From here their content will work to generate leads. The key to optimising your LinkedIn company page is to always be providing value. We’ve given you three elements to optimise, but there are plenty of others. 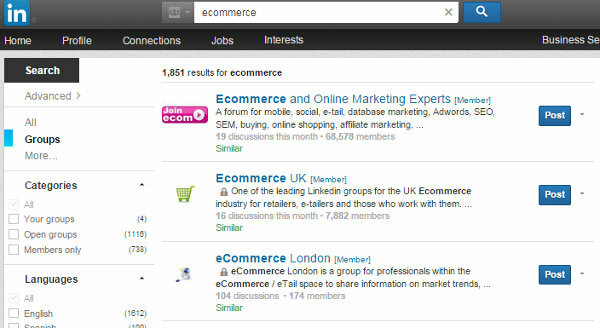 For instance, you could include a unique link under the “Website” field that’s personalised to LinkedIn visitors. Always be experimenting, but keep content at the forefront of what you do. Whether you’re aiming to build co-marketing campaigns or give your content distribution a little boost, building relationships with influencers is an effective strategy to accomplish this. The thing is, it takes a bit of time to build these relationships in the first place. The old marketing rule of 7 definitely applies here, and needs to be done across two or three channels. When we started connecting with influencers, we decided to limit ourselves by reaching out to 20 contacts. We wanted to find people who had access to a large audience and would receive as much value from us as we would from them. If you know your market, then you already know who these people are. If you’re unsure however then there are a few ways to find them. 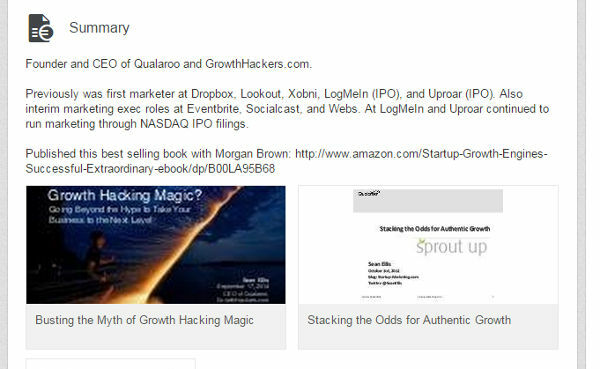 The quickest way is to do a Google search for “your market + experts share” or “your market + expert opinion”. 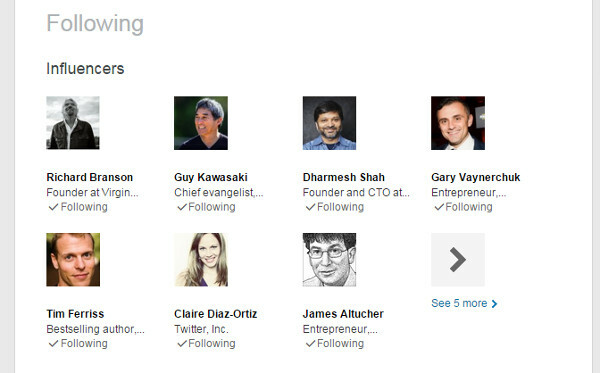 This should give you some blog posts that have curated quotes from industry leaders, as well as their Twitter handles. Now you know where to reach them, it’s time to go ahead and start getting yourself on their radar. We’re going to utilise the marketing rule of 7 here, as mentioned above. Using LinkedIn and Twitter to build recognition with each individual, followed by email to make our proposition. 1. Comment on their articles; by doing this you show that you’re paying attention. Comments such as “Really interesting, thanks!” won’t work here. You need to add to the conversation with your own insights, thoughts and opinions. 2. Tweet @ them; this could be in relation to a piece of their content, or simply joining in a conversation that they have started. 3. 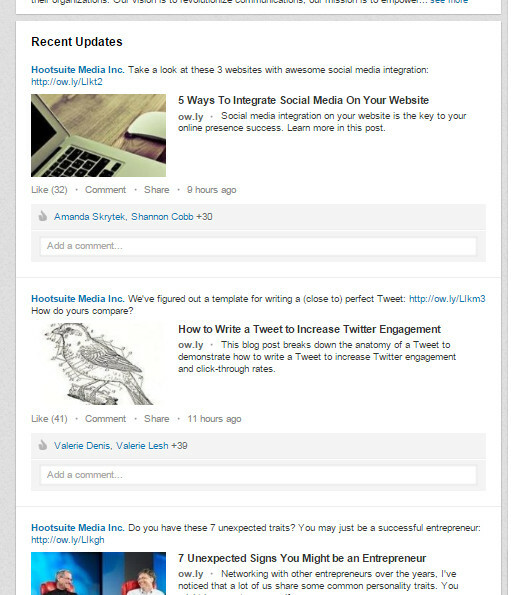 Share their content; you can do this on both Twitter and LinkedIn. Take a piece of their content and share it forward. 4. Comment on an update; if they’re actively sharing content, whether it be their own or third party, then commenting on these updates with something constructive will get their attention. 5. Join in a group conversation; most influencers are members of LinkedIn groups relevant to their industry, and the chances are these are the same groups you’re a part of. Get involved in their discussions or discussions they’re a part of. Do a mixture of these 7 times over the course of a week. It’s useful to keep a log in the spreadsheet you created earlier to track what activity you’ve sent to them. Once you’re sufficiently on their radar it’s time to reach out. The content of this email will depend on your objectives, but for us it’s usually about content distribution. Our goals at Seraph Science involve getting our content to a larger audience. Regardless of what your goals are, you need to keep focused on how your proposition benefits them. Sounds fairly basic, yet this is something we constantly need to remind ourselves of. Thanks to the activities from step 2, this email will come across a lot warmer. They should already be aware of who you are, and as you’re spreading the activity over the course of a week you’ll be fully top of mind when you get in touch. Of course, you don’t have to limit your outreach to email. If they’re active on LinkedIn then messaging them through there can work well too. If you’ve not used Pulse yet, it’s essentially a publishing platform that’s served straight from LinkedIn. It allows professionals to create content and position themselves as thought leaders. What many people don’t know, however, is that it can be used as a method of content syndication and distribution. You can take a piece of already existing content and create a short “summary” piece that highlights certain aspects of the original article. Taking the article you’re reading now as an example, I would take the 7 techniques we’ve dived into and create three unique paragraphs for each. Then, I would publish this to LinkedIn’s Pulse platform and include a link to this blog post at the end. It’s a simple way to make your content work harder for you. It doesn’t have to stop with Pulse, either. Platforms such as Medium, Reddit and large publications such as Inc. and Entrepreneur can be great places to repurpose your content. 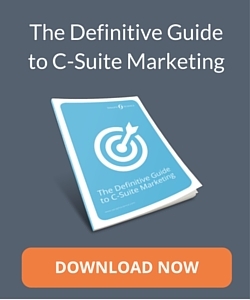 The main theme that has run throughout this entire guide is that of adding value. If what you’re putting out there on the platform isn’t inherently useful, then chances are you’re not going to gather much attention. Of course, selling does have its place, but as a method of generating awareness and acquisition then giving value will always be stronger than your intentions to take. Begin implementing and testing these 7 LinkedIn marketing techniques today and, over time, you should see an incremental and exponential in connections, traffic and leads.